The computer mouse is one of the best inventions in the field of computers. Even today with most devices allowing users to simply use the interface using their fingers, there’s still no replacement for the precision of a mouse. When you’re working with larger displays, a mouse is also more convenient. However, the most productive people use the mouse the least. Sure, when you’re casually browsing the web it’s quite alright. But let’s say you’re typing out an article, coding your next website or app, etc. Now you want to make some text bold, save a file, copy and paste things. Switching between the mouse and the keyboard is not very convenient. This is where handy keyboard shortcuts can be helpful. So can application launchers that can work right from your keyboard and help you open new apps and files. 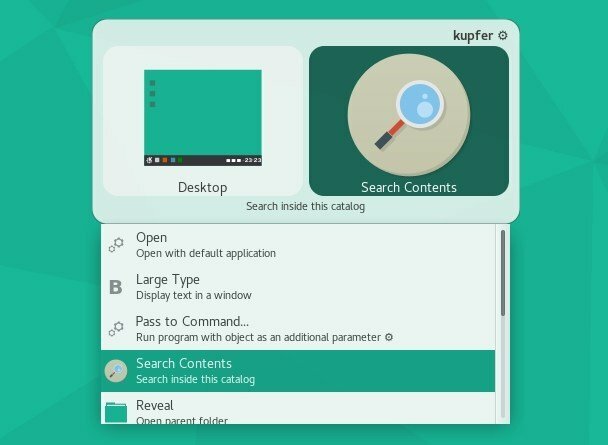 On Linux, most desktop environments have an app launcher built in but not all of them are quite as feature-rich as something like Krunner. In my experience, it’s the best desktop search + app launcher + command line utility. It is an integral part of the KDE Plasma desktop though and not available to install on other desktop environments. 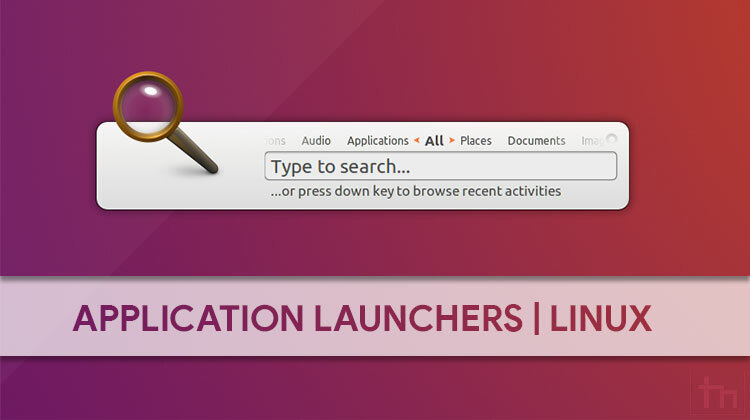 So here are some other multi-functional app launchers that you can install on your Linux machines regardless of your desktop environment. Starting off with the simplest of the bunch, Albert is an open source, speedy and customizable app launcher which can do many non-simple tasks. 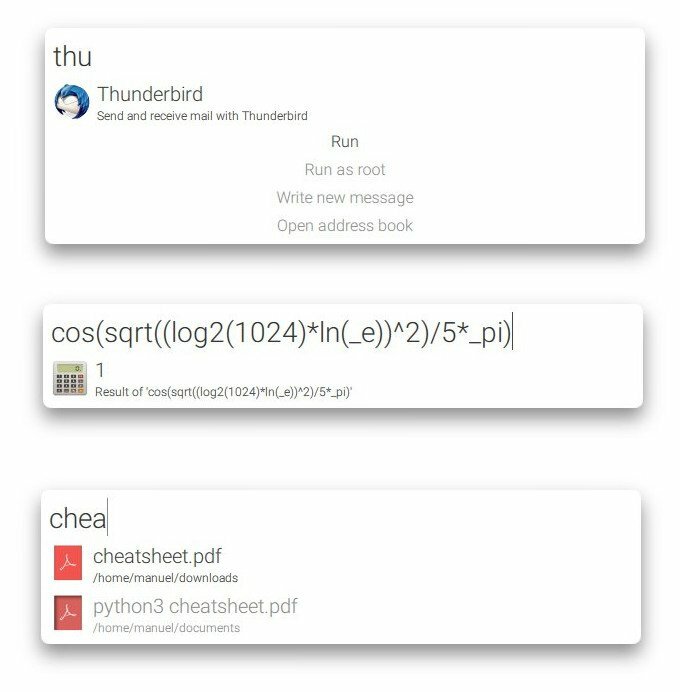 It’s a launcher designed to be used with the keyboard and is written in C++/Qt. It features a pretty minimal looking search bar which can launch not only apps but also other files and even scripts. You can also quickly calculate using Albert and it not only solves 2+2 but even complex calculations. Functionality can be further added using plugins and extensions. Ulauncher is a prettier looking application launcher which is also open source and easily customizable. It can search through folders, open files, launch apps and run commands. It’s very similar in functionality and looks to Albert but it looks a little better out of the box. 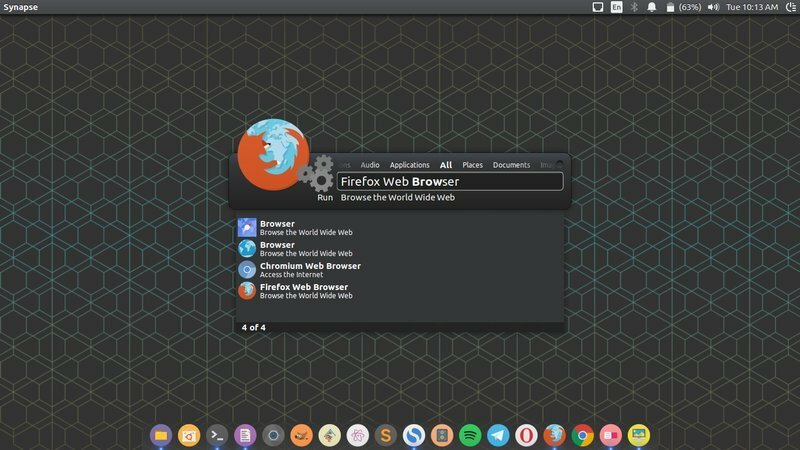 Synapse is one of the most popular application launchers on Linux. If you’re looking for Spotlight-like options on Linux, Synapse is bound to come up at some point. It is also open source and is built using the Zeitgeist engine. This app launcher has a GUI preferences menu where you can enable plugins to extend its functionality beyond application launching and file browsing. 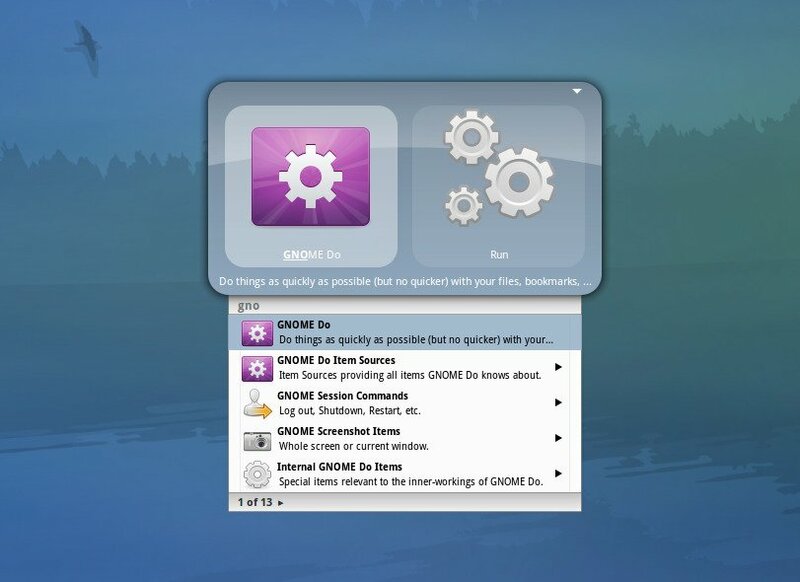 GNOME Do is a powerful application launcher which wants you to not search but do. It can launch applications, open files, and the usual stuff but it can also help you do more. For instance, you can not only search for a file and open it but also rename it. Its functionality can be further extended via plugins to include your Google contacts, send emails, post tweets, manage and play your music, etc. Kupfer is pretty similar to GNOME Do as you can see from the screenshots. It can launch apps, open files, and its functionality can also be extended via plugins. It has General, Keyboard, Plugin, and Catalog options where you can set its UI/UX, see usage, and set its scope.